Welcome to The Kensington Hotel in Ann Arbor, Michigan. Whether you need overnight accommodations for a business trip, wedding, family gathering or romantic getaway, our boutique hotel is a refreshing alternative to conventional chain-style offerings. From the minute you contact our warm, friendly staff, you'll experience the personalized service that only an independently owned hotel can offer. Contact us today to book your stay and experience Ann Arbor like never before. 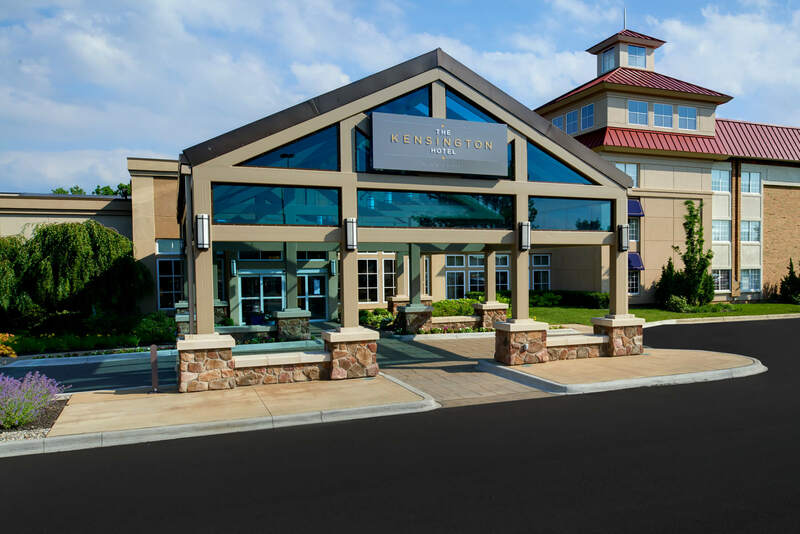 Boasting 200 newly revitalized guest rooms and suites, The Kensington Hotel is Ann Arbor offers a blend of luxurious accommodations and impressive amenities to suit business and leisure travelers alike. With an urban transitional design, each room includes a marble bath, Beekman 1802 © bath products, deluxe furnishings, plush bedding and complimentary Wi-Fi, among other upscale amenities. Besides our well-appointed accommodations, The Kensington Hotel features an indoor pool, dry sauna, fitness center, complimentary Viennese coffee bar, a selection of pet-friendly rooms and more. The Kensington Hotel offers a full range of dining options to suit your palette and your dining preferences. Enjoy authentic Ann Arbor dishes and American classics made with fresh, seasonal ingredients at rel·ish, our onsite restaurant. If you'd rather dine in the privacy of your room, The Kensington Hotel offers room service seven days a week. For fresh-baked goods, snacks, light appetizers and more, the Union bar is available 24/7 in our lobby. With more than 10,000 square feet of flexible event space, The Kensington Hotel can accommodate between 10 and 1,000 guests. Whether you're looking for the perfect setting for your wedding or the central location for a conference or meeting, The Kensington Hotel's Grande Ballroom and other event rooms can be tailored to fit virtually any occasion. Elevate your Ann Arbor stay by reserving your room at The Kensington Hotel. Contact us to learn more about the Ann Arbor area or book your stay.